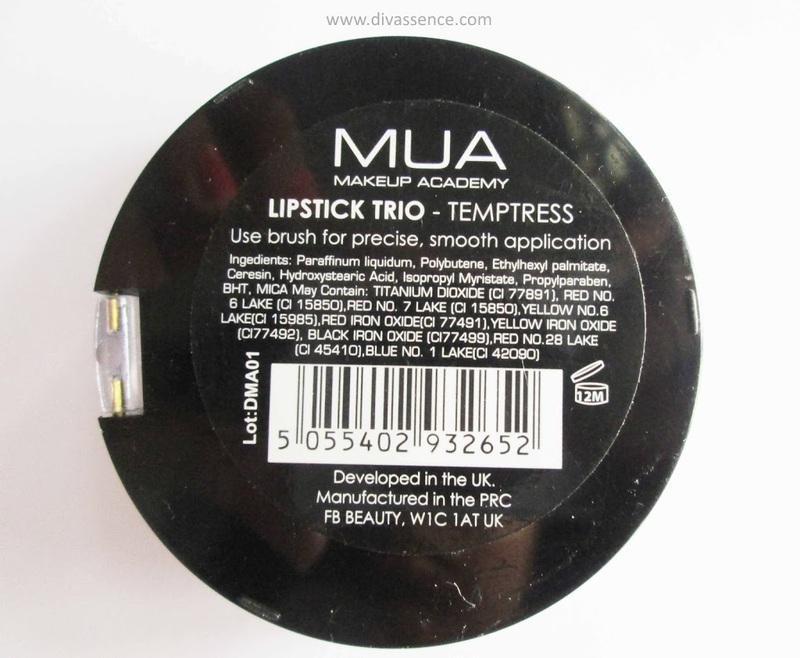 MUA Lip Trio in Temptress: Review/Swatch/LOTD - Divassence! 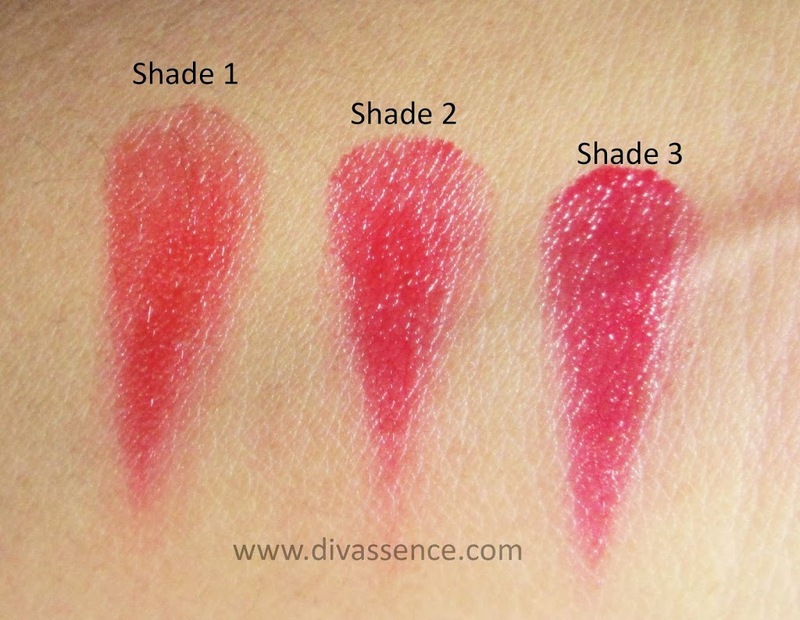 A lip palette consisting of three lip colours, all belonging to the red family. Price and Quantity: £2.50, quantity is not mentioned. Pucker up with Spring with new MUA Lip Trios. 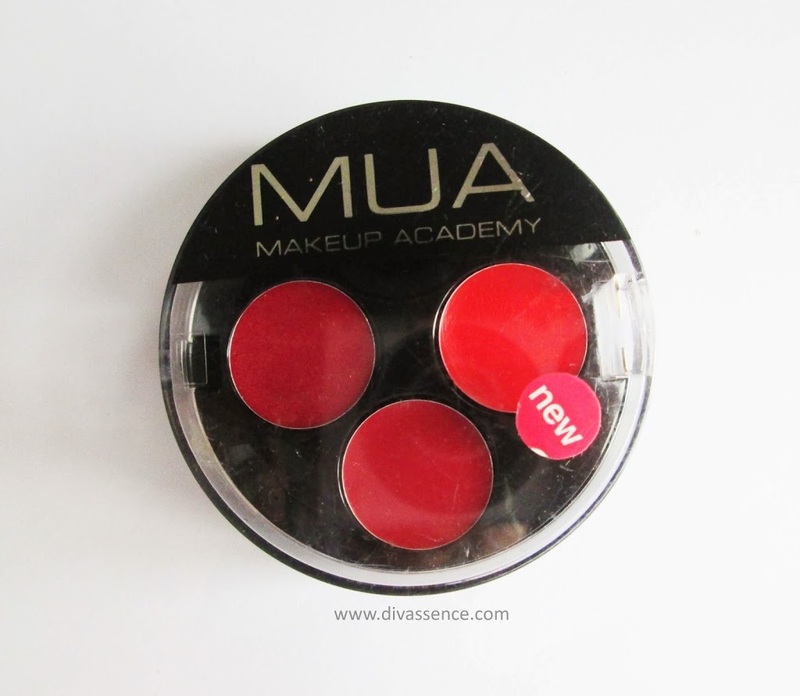 MUA Lip Trio provides the visual effect of a stain with the comfort and sheen of a lip gloss. The long-term colour with a satin, balmy finish leaves the look of effortless polish and understated sophistication. 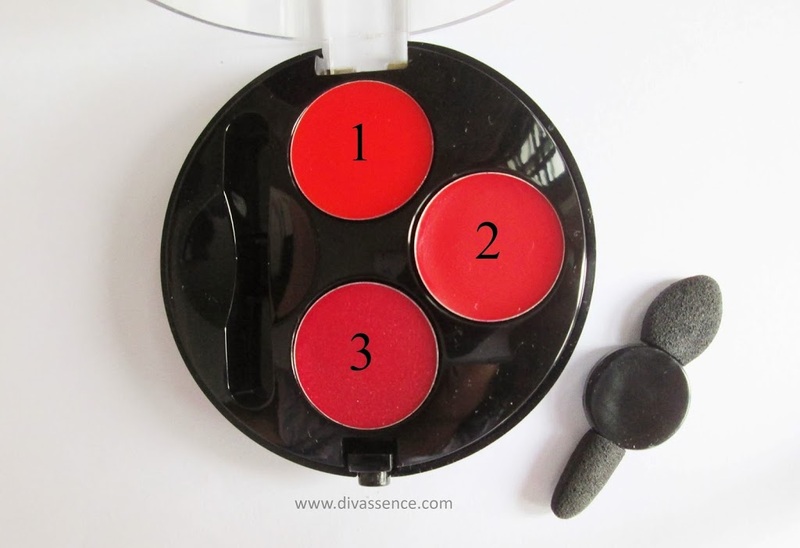 It comes in a cute circular box with a sponge-tip applicator (sponge tip applicator for a lip product? Weird, I know!). Shade name and ingredients are printed behind the box along with a line about the applicator: “Use brush for precise, smooth application”!! Yeah right 😛 The sponge tip applicator has 2 ends, one side is broad while the other side is slim (meant for precise application, I guess :P). Shade: A bright cherry red! Looks very similar to ELF Fearless Lipstick, this is slightly *very slightly* darker than that but otherwise the two shades are quite similar. Finish: Glossy but no shimmers! Pigmentation: Great! This is the most pigmented out of the three shades in this palette. Shade: A dark red. Not my kind of colour, I feel it makes me look mature but it is pretty nonetheless. Texture: Creamy, no glitters! Unlike shade 1, this isn’t very moisturizing, but neither does it dry out my lips much. Pigmentation: Nicely pigmented, this is the second most pigmented out of the three shades in this palette. Staying power: The staying power is almost same in all the three shades, they last a maximum of 2 hours! Shade: Very similar to shade 2, slightly darker than that. Staying power: Less than 2 hours in this case. Very disappointing. Shades are awesome – beauties who are hesitant to try reds can start with this one. Final Word: Their performance is definitely more like a lipgloss than a lipblam since these are not hydrating in nature. If you get it from their online site (especially when they offer free shipping :P) or when they are on sale, these are great budget buys! Recommended! ← Katrina Kaif is the new face of L’Oreal Paris! Its my favourite too 🙂 <3 it!